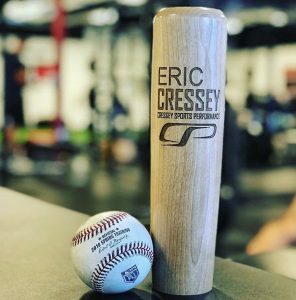 Home ⁄ Posts tagged "Elite Baseball Development"
Registration is now open for the 2018 Cressey Sports Performance Collegiate Elite Baseball Development Program. This event takes place at our Hudson, MA facility, and runs from 6/4/18 through 8/11/18. During last year's offering, we had pitchers move to Massachusetts from eleven different states (plus Australia!). This summer, we anticipate another awesome collection of motivated athletes who'll push each other to get better in conjunction with the same training opportunities and expertise we provide to our professional athletes. This program is a good fit for pitchers who need to prioritize development over just getting innings or exposure. In other words, it's a suitable replacement for those who still need to throw, but also need to gain 20 pounds, learn a new pitch, sort out old aches and pains, or improve their mobility. 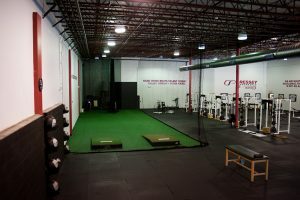 In our throwing programs, we integrate weighted ball work, long toss, and bullpens (including video analysis). We'll integrate Rapsodo and Motus sleeves in these bullpens as well. All the athletes will receive manual therapy with our licensed massage therapist weekly, and nutritional guidance throughout the program. Also to help with recovery, athletes have access to Fatigue Science Readibands (to help monitor sleep quality and quantity), MarcPro, and Normatec. Last, but not least, we'll incorporate a regular educational components to educate the athletes on the "why" behind their training. Last year, this consisted of not only staff presentations, but also conference calls with Alan Jaeger, Noah Syndergaard, Steve Cishek, Brandon Kintzler, and Oliver Drake. The best part is that it'll take place in a motivating environment where athletes can push each other to be the best they can be. By optimizing the situation, you can help change the person. Interested in learning more? Email cspmass@gmail.com - but don't delay, as spaces are limited; this offering sold out last year, and we'll be capping the group size. 2016 CSP Elite Baseball Development Shirts Now Available! These shirts are insanely comfortable and run true to size. Click here to purchase, and please just specific GREY or RED in the notes section. These usually sell very quickly, so don’t delay if you’re interested in picking one up. Enjoy!